"Of all the quilts I’ve made during my adult years, this is the only one I’ve kept. The rest have all been given to others, but my Irish Chain is just too beautiful to part with. 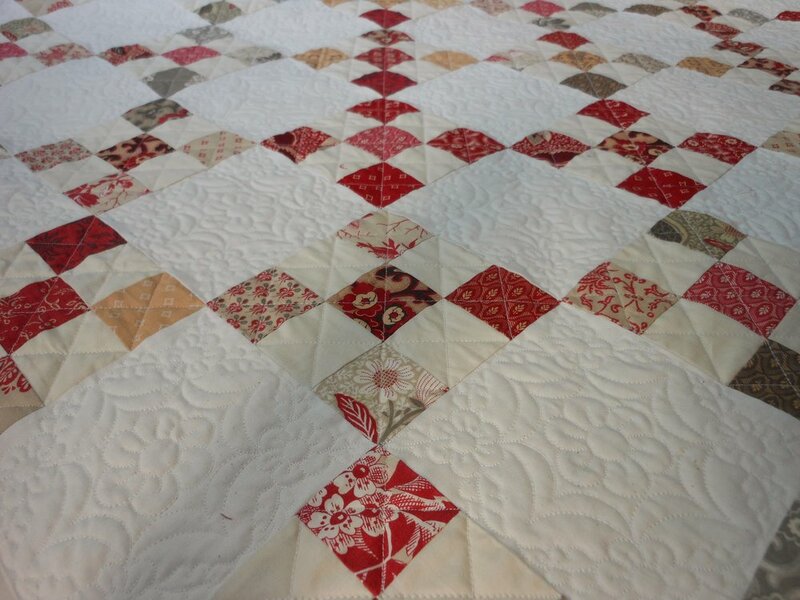 Jackie is so easy to work with and so reasonably priced, that it doesn’t even matter a whit that I have to mail my quilt tops from the other side of the country, from CA to PA. It’s worth it for the quality of work she does. I always thought an Irish Chain would be difficult until I saw Jenny Doan’s tutorial on the Missiouri Star Quilt Co. She used precuts and so did I. This quilt was easy peasy to make and in the end, I was so thrilled with it that I just had to have it professionally quilted and Jackie did an outstanding job. 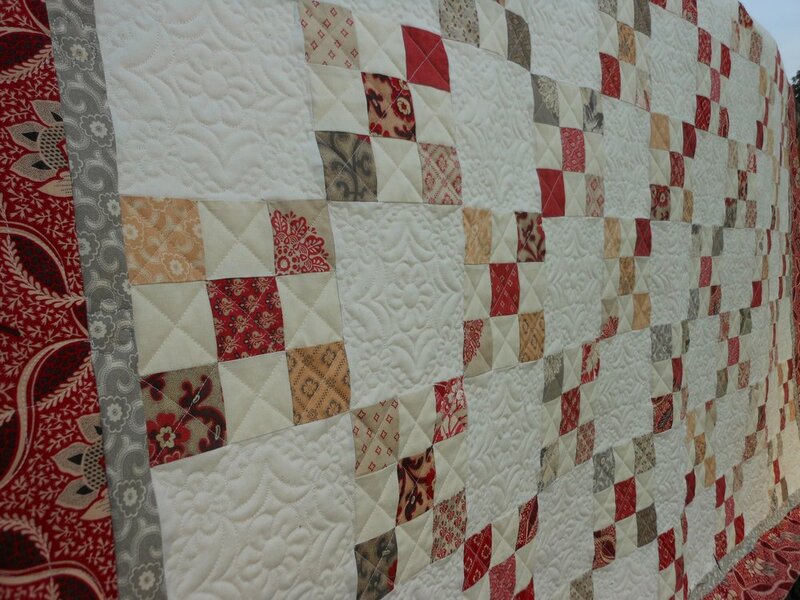 Jackie and I worked out the designs for each block and how I wanted them spaced and quilted. 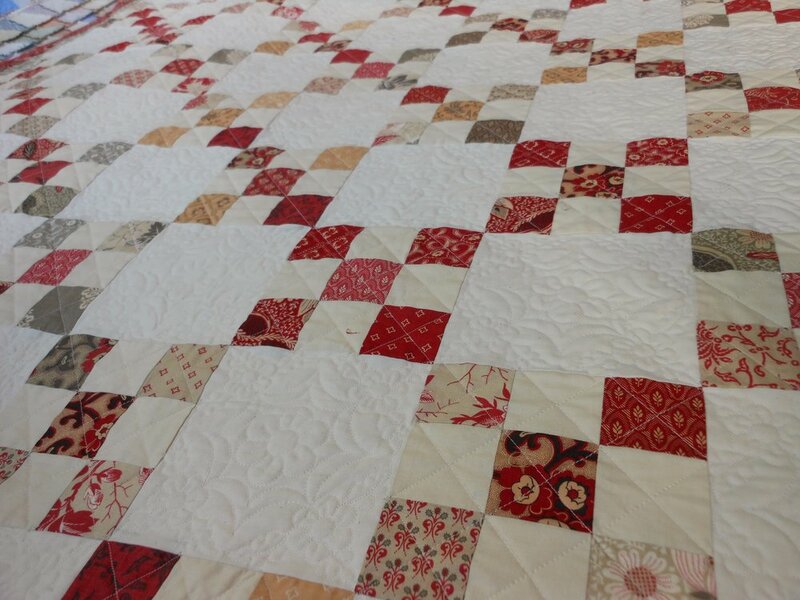 She was more than willing to do whatever I wished to make the quilt what I wanted."